The Chapter’s young professionals have had a busy summer hosting events and welcoming new members into the Chapter. 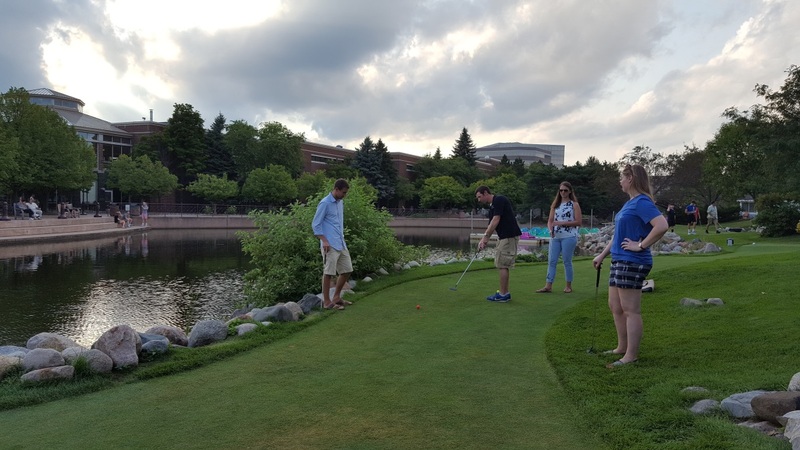 Activities have included: a welcome barbeque for newly graduated students and interns, the 2nd Annual YP Golf Outing, PWX Futures Day, and a joint APWA/AWWA YP networking event. We’re looking forward to our upcoming fall networking event, fall conference, and Public Works Facility Tour. Keep an eye out for announcements on upcoming events. 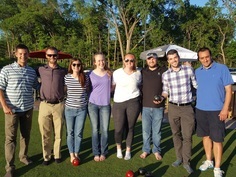 The welcome barbeque included a round of lawn bowling at the Brookview Golf Course in Golden Valley. 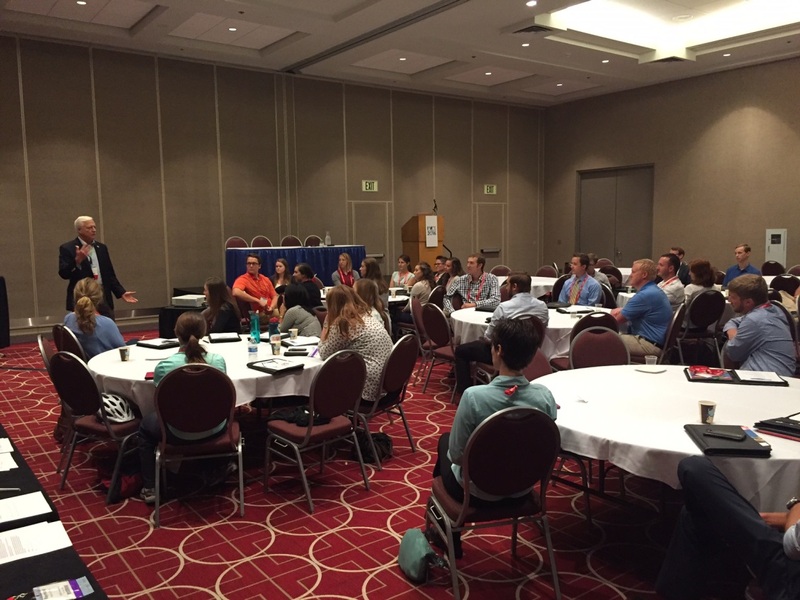 Over 20 people attended and, for over a quarter of attendees, it was their first APWA event! 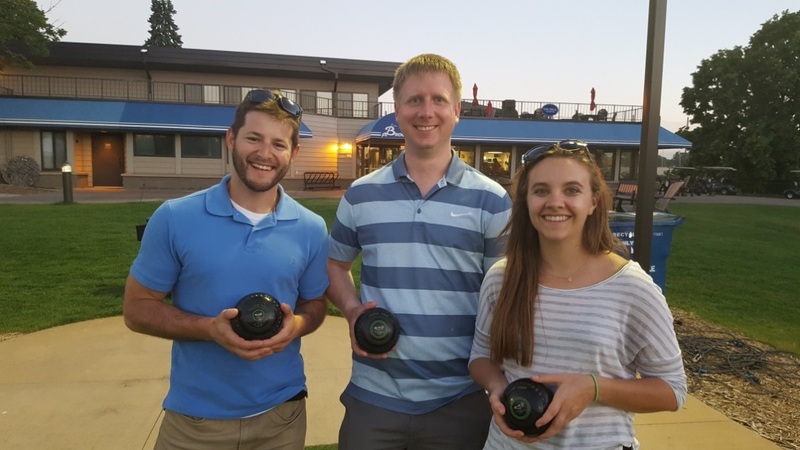 Winners of the 3-on-3 lawn bowling tournament. 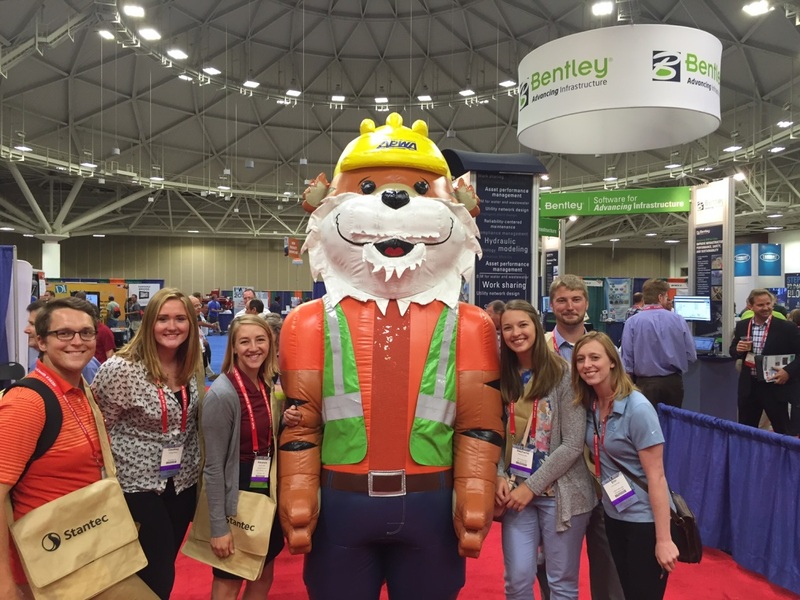 Young professionals explore the exhibit floor at PWX. President Ron Calkins provides young professionals insight into his career and how he got to where he is today. Golfers networked through the 18 holes at the Centennial Lake Park mini-golf course.